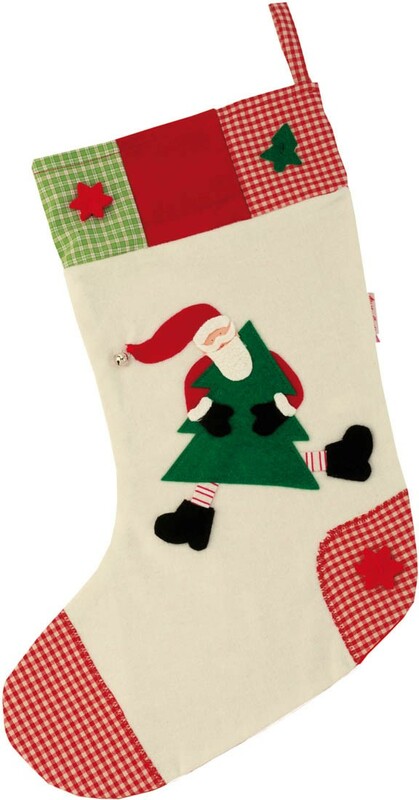 The Santa Christmas stocking is a pleasing gift for children and grown-ups alike. 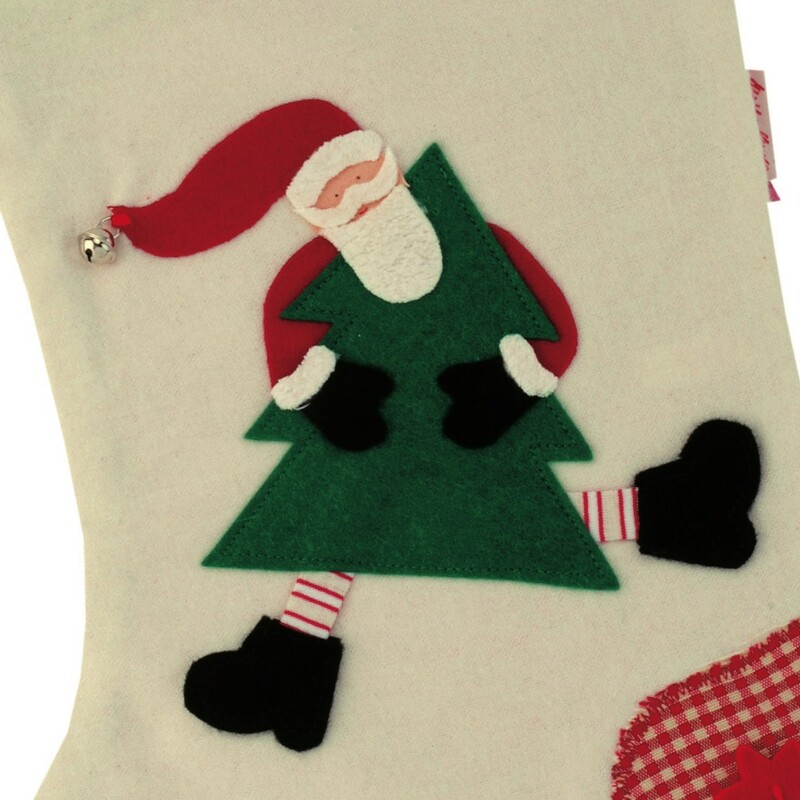 Santa is holding the Christmas tree and is all ready for the holidays. He has a small bell at the end of his hat. 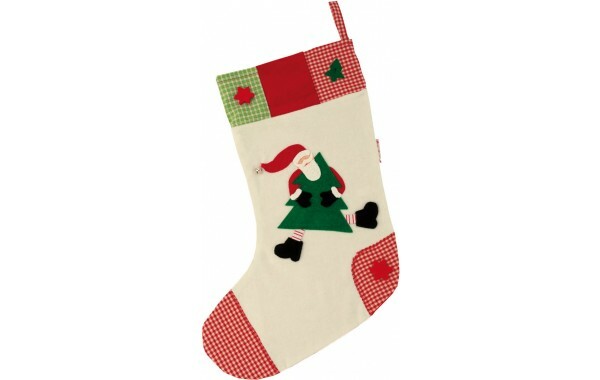 Large enough to fill with little gifts this holiday season.